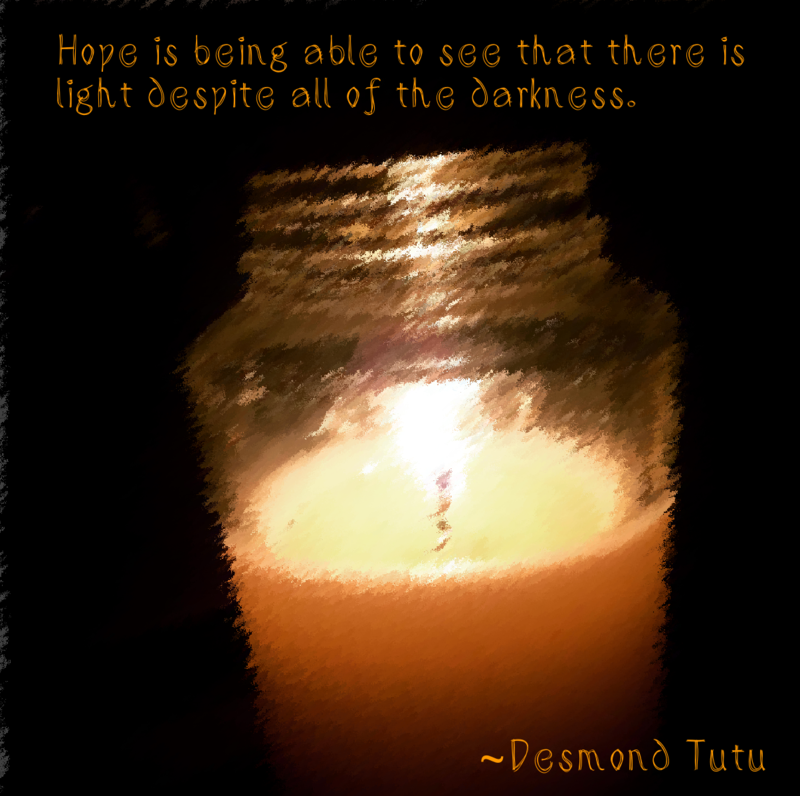 Here is a picture created by Deaf Revolution and posted to Facebook by Deaf Pride. This picture is in conflict. (I couldn’t make the picture larger.) The concept is clear. How do we determine what is language and what is code? Code meaning a system that is created off another language to facilitate information exchange. Essentially, a coded system. 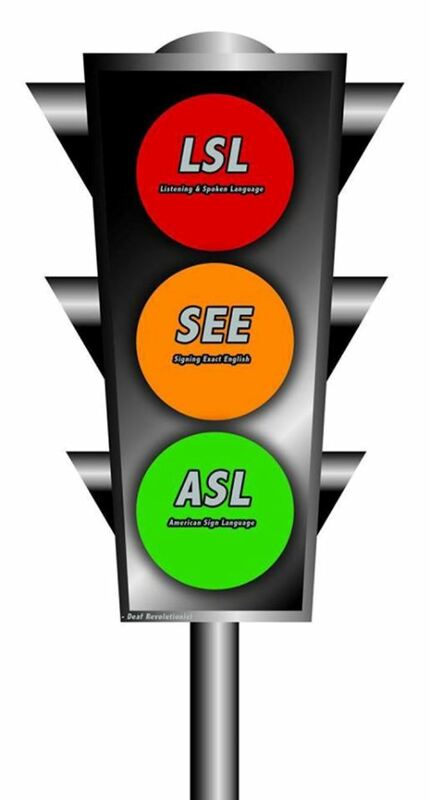 Here we have is a stoplight: Red (LSL: Listening and Spoken Language), Yellow (SEE: Signing Exact English) and Green (ASL: American Sign Language). The concept is clear for many who have gone through denial of access to a natural language or those who have struggled with two languages: American Sign Language and English, mainly the spoken form. While each have their own benefits or pros and cons, the one the most struggle with is LSL and SEE. When deaf people begin to see and adopt ASL, they feel that they have come home. So ok, the concept is clear. So why is the picture wrong? LSL: Listening and Spoken Language is the new word for Auditory-Verbal Therapy and Oral Method. This is where many deaf children will go through in the beginning of their lives, regardless if they use technology or not. This approach is common because parents want their children to be like them when it comes to language and culture. The language in use in America is English. The emphasis is to learn how to listen and speak English, without use of sign language. In fact, ASL or sign language is banned from use because it is believed that the use inhibits the ability to speak. SEE: Signed Exact English is signs based on spoken English. The most common belief is that the use of SEE in the education system will help with English literacy. It does help certain number of children but not a lot. The word order is based on English word order and often will initialize the sign such as the handshape F used in the sign for FREE; whereas, a fist is used in ASL. Emphasis is to use signs in English order to make hearing people (in general) happy. Only a few are successful English literate people, the rest are still confused to what is used in English. Honestly, deaf people make fun of this system by using it around people who can’t stand it. Hehe. ASL: American Sign Language is a living language, over 200 years old and based in America. This is what deaf people who sign use daily. Even if they use SEE, they will automatically switch over to ASL because this is the natural form of language. ASL is a language tied to linguistic rules, just like any other language whether spoken or signed and has its own culture. This language has been a growing educational subject and only just recently in the last 20 years joined the linguistic research field. This is the language many deaf people feel at home with. Ok back to point, why is the picture contrary? LSL is an approach or a method that uses teaching skills, resources and materials to encourage someone to listen to and speak a spoken language. The language in use is a language, no argument about that. Again, LSL is a teaching method, not a language or a coded system. Examples may include covering of mouth to encourage listening and repetition of words for comprehension. SEE is a coded system based off of another language, a spoken one. It has no true linguistic rules nor does it have a culture. The main source of use is in the education system as previously explained. There is only one creole system that bridges English and ASL but violates both of the languages and that is Pidgin Signed English, not SEE. SEE also simultaneously uses spoken English which ‘bastardizes’ ASL and English. This system comes out of the total communication approach of the 1940-50’s, when educators realized that oralism was failing students. ASL is a true language. As mentioned, the involvement in linguistic research field is new; however, it has created some influence on other spoke languages such as the concept of ‘space’. Without the use of an interpreter, no hearing person with little to none sign language knowledge will understand. Both hearing and deaf people require alternate communication methods to bridge communications (not languages). Most deaf people are bilinguals – they use ASL and are English literate, who can or may not be able to speak English. ASL is also a culture – a highly visual/tactile culture. Lights are required, vibrations are necessary and how we approach people are different from other cultures. You have totally three different schools of thoughts on a stoplight. Again the concept is clear, to us who know what this is all about. We do acknowledge that there are successful cases for the first two, most often the world is broadened when ASL is added and deaf people, including children of deaf parents and some hearing people have found home.